by Michelle Pellizzon for Thrive Market Fifty-three percent of people ages 16 to 22 would rather entirely lose their sense of smell than give up their cell phone. We get it (kind of)—technology has become an integral part of life. But these kids are grossly underestimating the importance of the olfactory sense. There’s no denying that sense of smell is an important one when it comes to emotions. (Think of how a waft of fresh-baked cookies can instantly evoke warm images of childhood.) It’s more deeply linked to the brain and how we interact with the world than we may realize. Take picking a mate, for example. Pheromones, the airborne molecules that make their way to our nostrils, can silently and subconsciously indicate whether a potential partner is a good match or not. Scientists aren’t quite sure why, but they believe that every person has a unique pheromone “scent” that’s part of our hormonal chemical makeup. Interestingly enough, it seems that women are more likely to choose partners that have different genes than them. This is possibly because when it comes time to reproduce, their offspring will have more varied genes, and therefore be more likely to survive to adulthood. In fact, women who initially met their significant others while taking hormonal birth control actually find themselves less attracted to their partners once they stop using it, according to a University of Liverpool study. Most forms of hormonal birth control actually change a woman’s hormones, so a mate who used to “smell” great and attractive might suddenly become the opposite. It serves to show us that sense of smell, no matter how subtle, can deeply affect our emotions. Aromatherapy, the use of essential oils from plants for healing, has proven to be so powerful that it can even change our brains: One study found that sniffing lavender essential oil helped children who test for diabetes with painful needles feel less discomfort and less stressed. And there are a number of studies that have indicated that aromatherapy can have a positive effect on chemical imbalances in the brain like depression. 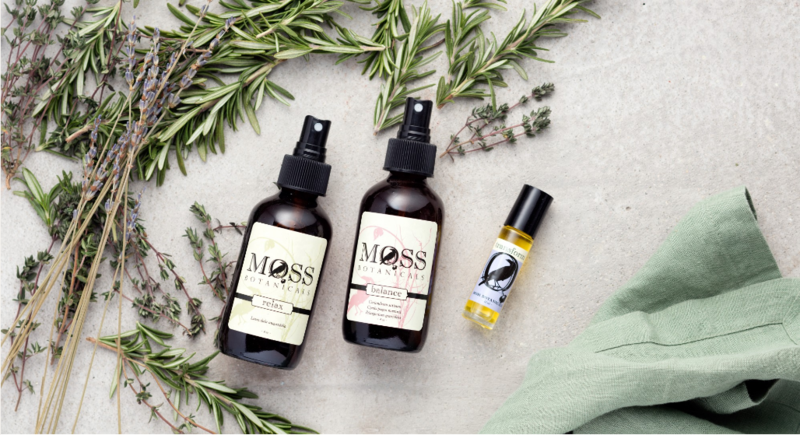 “There’s a reason people have been using aromatherapy and essential oils for thousands of years,” explains Stacey Moss, who founded her company Moss Botanicals on the idea of healing through plant medicine. “Different essential oils can help reboot or shift your entire mood and energy.” It’s true—essential oils can be a powerful tool for improving energy, increasing alertness, soothing anxiety, and even relieving physical pain. Researchers have found that lavender and sandalwood were effective in decreasing anxiety in those with cancer; the two oils have long been recommended by aromatherapists to help with stress. And a study at Babor University in Iran discovered thyme oil and ibuprofen have nearly the same effect on pain and inflammation.